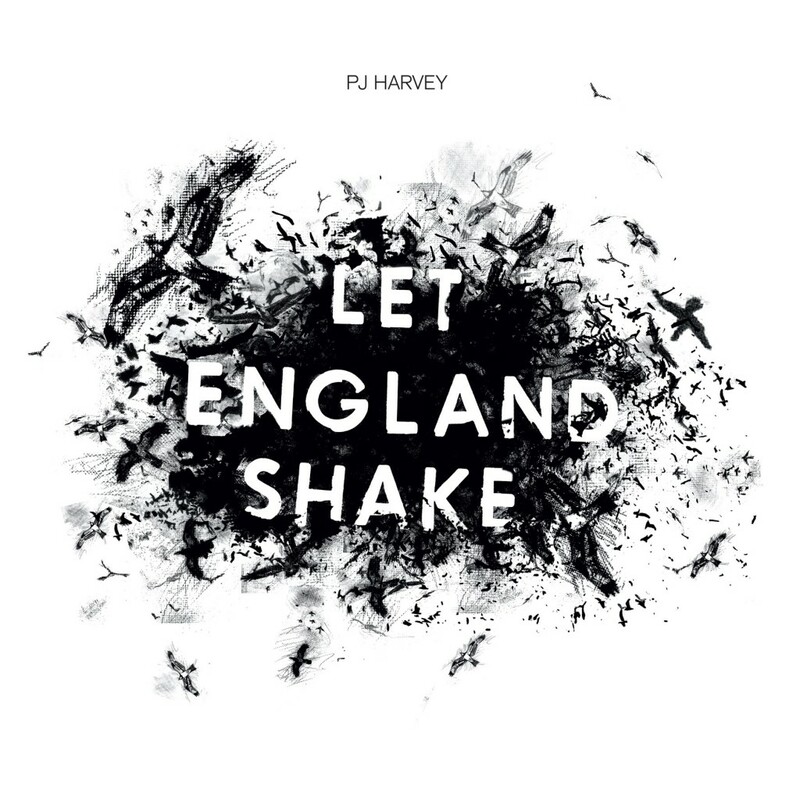 PJ Harvey’s new album was recorded in a 19th Century church in Dorset, on a cliff-top overlooking the sea. It was created with a cast of musicians including such long-standing allies as Flood, John Parish, and Mick Harvey. 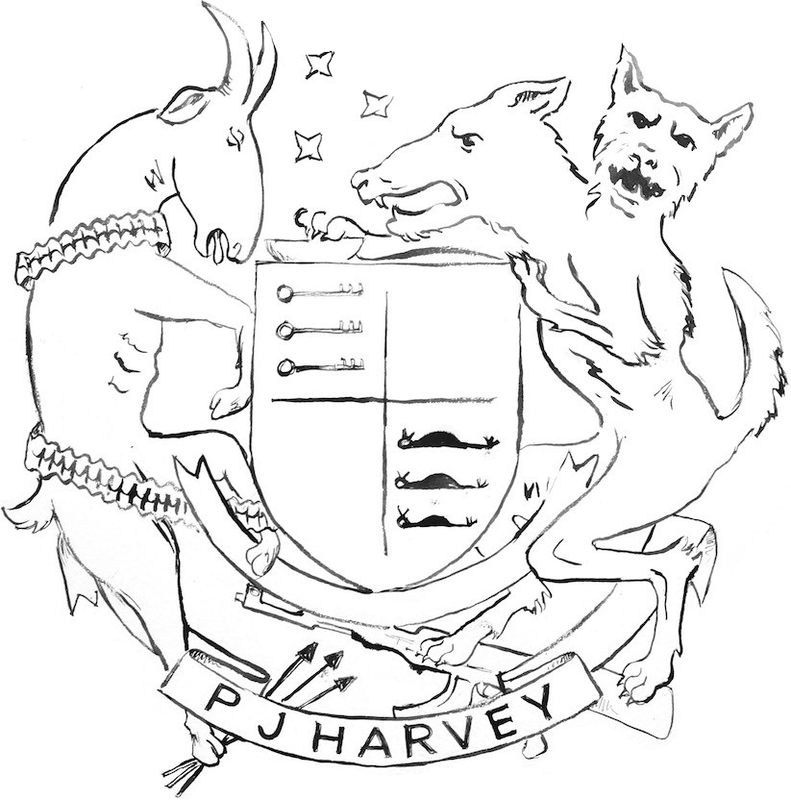 It is the eighth PJ Harvey album, following 2007’s acclaimed White Chalk, and the Harvey/Parish collaboration A Woman A Man Walked By. Such are the bare facts. But what is remarkable about Let England Shake is bound up with its music, its abiding atmosphere – and in particular, its words. If Harvey’s past work might seem to draw on direct emotional experience, this new album is rather different. Its songs centre on both her home country, and events further afield in which it has embroiled itself. The lyrics return, time and again, to the matter of war, the fate of the people who must do the fighting, and events separated by whole ages, from Afghanistan to Gallipoli. The album they make up is not a work of protest, nor of strait-laced social or political comment. It brims with the mystery and magnetism in which she excels. But her lyric-writing in particular has arrived at a new, breathtaking place, in which the human aspects of history are pushed to the foreground. Put simply, not many people make records like this. “I was looking outwards a lot more,” she told the BBC’s Andrew Marr, when she appeared on his programme back in May. “I think a lot of my work has often been about the interior, the emotional, what happens inside oneself. And this time I’ve been just looking out, so it’s not only to do with taking a look at England but taking a look at the world and what happening in current world affairs. But always trying to come from the human point of view, because I don’t feel qualified to sing from a political standpoint… I sing as a human being affected by the politics, and that for me is a more successful way … because I so often feel that with a lot of protest music, I’m being preached to, and I don’t want that.”. Let England Shake evokes the troubled spirit of 2010, but it also casts its mind back to times and places from our long collective memory. In keeping with such imaginative intentions, its music has a rare breadth and emotional power. Nearly two decades after she made her first records, it proves not just that its author refuses to stand still, but that her creative confidence may well be at an all-time high. It is safe to say that you will not have heard anything like it before. I fear our blood won’t rise again. England’s dancing days are done. and tell me indifference won. and on the graveyards, and dead sea-captains. our land is ploughed by tanks and feet marching. dropped into the sea and lay around us. death was all and everyone. to 400 acres of useless beachfront. death, now, and now, and now. fixing its eyes on everyone. sing, Death to all and everyone. that nature has won again. a hateful feeling still lingers, even now, 80 years later. Cruel nature, cruel, cruel nature. cracked like teeth in a rotten mouth. Say, Cruel nature has won again. I cannot go on as I am. is all, to which I cling. and in in the dark places. There is none more bitter than the wood. Hold up the clear glass to see. with white hands wave goodbye. spreading into the white world. There are no fields or trees. There are no trees to sing from. He cannot hear the wind. Do you hear the guns beginning? beside a trench of burning oil. and suitcase on the sidewalk. but I couldn’t get to him. He’s still up on that hill. Twenty years on that hill. but I think of him still. The colour of blood I’d say.